Standard 53 for cysts & VOCs including carcinogenic chlorination byproducts and more. Commercial Quality Filtration for Your Home! Use the same water filters Coca~Cola and Pepsi use worldwide ~ All for less than a penny per gallon! When it comes to Water Purification Systems, One Size DOES NOT Fit All. We give you the information you need to make the smart choice, and if you need help, just give us a call! No pushy salesmen – just information. First: Is your water disinfected with Chlorine? or Chloramine (also known as Combined Chlorine – a combination of 80% Chlorine and 20% Ammonia)? If you don’t know, call your water department and ask or look up your Water Quality Report. (They are usually online.) The answer is important because chloramine uses up any brand of filtration media far more rapidly than does chlorine. This fact very much affects which size filter is right for your needs. Recently I installed the NanoSTICK® in my personal swimming pool, and as you know my swimming pool is always immaculate and the water sparkling clear. I did not think I would be able to see any difference, but to my amazement the water had added clarity and there was a considerable reduction in the chlorine consumption. I have always experienced algae growth under the ladder treads, but after using the NanoSTICK® the ladder treads remain free of algae without the need of brushing. My wife Ruth's comment to me was, "The pool looks so clear it is like swimming in bottled drinking water." I have also installed the sticks in two additional pools, (one of which has always been a problem pool) and it both cases the same results were discovered. I am looking forward to understanding some of the principals behind this application. Signature Pool & Patio, Inc.
Last week... it was recommended that we try the "NanoStick" to help improve our pools clarity. I returned to Dollar Hill II HOA, Tahoe City and placed them in the pool around 4pm. When I checked the pool the next morning I can only say that I was so impressed. Our pool has always been clear, now with the "NanoStick" in our pool is pristine. Tom Sargente would rather let the picture speak for him. The Perfect Fast, EZ Do-It-Yourself Installation Filters! 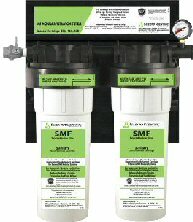 IMPORTANT: Most whole house filters ONLY reduce sediment and chlorine. 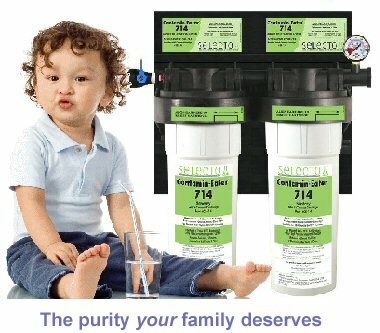 The Contamin-Eater removes the carcinogenic chlorination byproducts and other chemicals that harm your health, plumbing, & appliances. 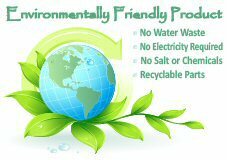 Selecto Filtration Systems are Tested & Approved in accordance with Standards 42 & 53 by either the NSF or by a 3rd Party testing laboratory. Removing chlorine makes your water taste better, but does nothing to protect you from the real dangers to your health – chlorination and chloramination byproducts. That’s why The Contamin-Eater is your best choice! First: Modular Construction means faster, easier initial installation, saving you time and money. Installation is usually only $130-$350 plus fittings, though many people can do it themselves. Second: Modular Construction means your needs can change without having to buy a new Whole House Water Filter! Did the kids move back in and you need a higher flow rate? Just add another filter to the system you already have! Did your cartridge last less than a year? Simply purchase a longer cartridge the next time. Did you decide you want the fluoride out of your water after all? 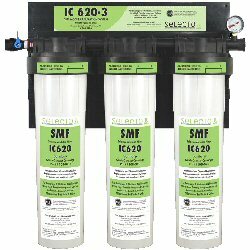 Any double cartridge water filter can have Selecto’s ABA2000 media added to reduce fluoride (though a little reconfiguration is necessary). Selecto offers singe or double head filters with 10″, 14″ and 20″ Filter Cartridges, as well as triple filter systems, so we can scale a system to meet YOUR needs! There’s nothing like the Contamin-Eater! Does the other filter you’re considering require a pre-filter? If so, how often do you have to replace the pre-filter cartridge, requiring extra time and money? Rarely do our customers need a Pre-Filter. Does the filter remove more than Chlorine and/or sediment? What about Chloramine? Cysts? Total Organic Compounds? Tannins? Trihalomethanes (THMs or TTHMs)? VOCs? Most Whole House Water Filters are only tested or certified for Standard 42: Chlorine & sediment if actually tested at all. Their “Capacity” (number of gallons filtered) only applies if your water is disinfected with simple chlorine. Do they claim a 3-10 year capacity? No filter can stay sanitary for that long! Absolutely none. It’s best to size your filter to about a year to fifteen months of use before cartridge change, and have filtration media that kills bacteria for that long. We do. Years of using the same cartridge/media will guarantee you have a “bacteria farm” for your water to run through before it reaches you! Made in the USA No boat loads from China. No child labor. No cheap components! YourContamin-Eater Whole House Filters are 100 percent guaranteed Contamin-Eater Whole House Water Filter will be built for you in the USA. Each component is inspected and assembled by hand by skilled technicians who care about your Water Quality and Product Satisfaction. We stock all the Whole House Water Filter systems and ship the same or next day, but sometimes due to high volume we run out before our next reorder comes in. If this happens, please allow up to 2 weeks production time plus delivery time (though it usually arrives much faster). The rare wait will be worth it!